Say Bonjour to… Marie France Asia! This time, it’s not London, nor Beirut – but right here in Singapore! To all my supportive readers, let me introduce you to my new project – Marie France Asia! Well, to be specific it’s not mine only. I’m just the Editor in Chief for this newly launched regional magazine but the name and brand Marie France (not related to the regional beauty centre with the same name) has existed since even before I was born. 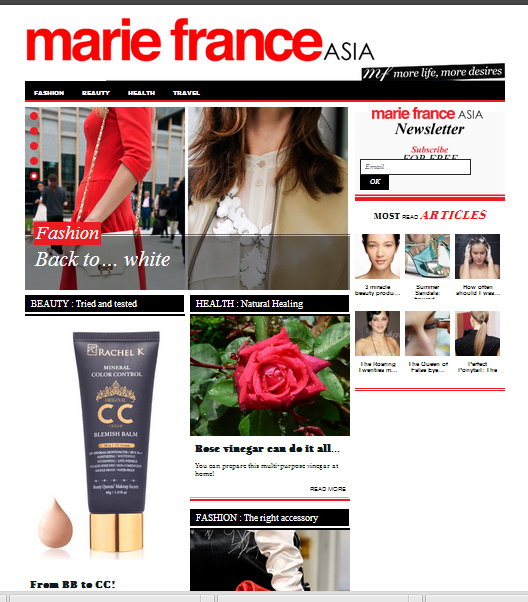 In case you are not in tune with the Francophone culture, Marie France is one of the top fashion and lifestyle magazines in France and has recently launched its online regional branch Marie France Asia (based in Singapore), which aims to bring a ‘French flaire’ to South East Asia-based style-savvy audience.